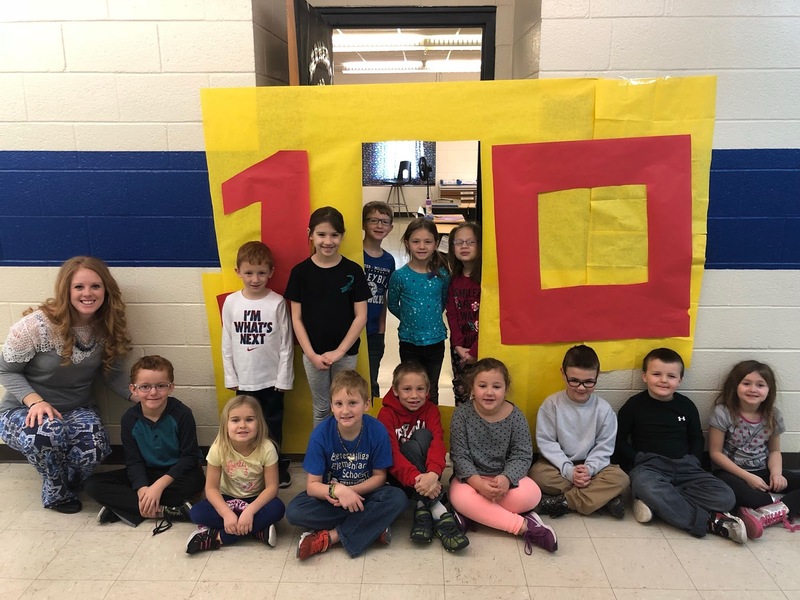 The Exeter-Milligan Kindergarten and First graders were able to celebrate the 100th day of school. The First graders entered the classroom through a zero in the number 100 to start off the day. They then went into the Kindergarten room and helped them with different 100-day activities. They helped glue 100 gumballs on the gumball machine, wrote sentences about 100 things they would like to do. My favorite sentences to see them write were, if you could only eat 100 of something what would that item be? They then were able to roll the dice and color in a picture that showed the number 100. The First graders are excited to continue their number line in class with numbers greater than 100.